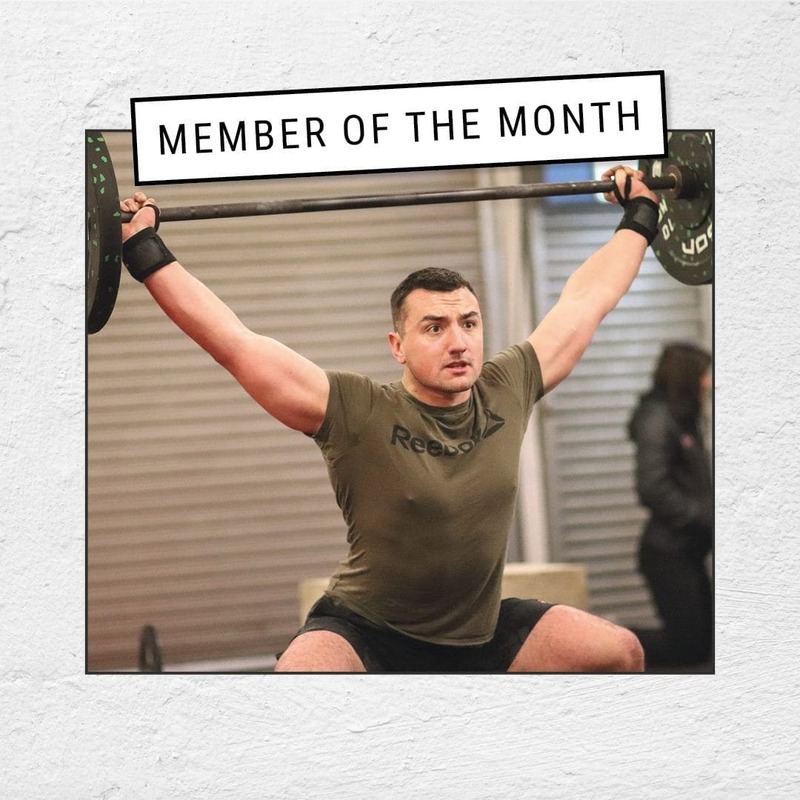 Member of the Month is Joel Allard, nice work Joel. I came across Gain Fitness at a time where I was looking to take my training in a more intense direction, solely for the purpose of rugby. As I looked further into the idea around what Crossfit actually is, that it’s not just a workout its comradery and its developing a better version of yourself surrounded by people with the same outlook. I just became drawn to how Gain Fitness offered this but so much more. What do you enjoy the most about Gain Fitness? What I enjoy most about Gain Fitness is the family that comes with it. Waking up at stupid o’clock with the gang all about to go through hell together on a WOD and having such a laugh doing it together, having a bit of friendly competition and banter. And sitting down afterwards enjoying a brew with the gainiacs. Only recently I’ve grown really fond of the Clean in any variation. A true sign of full body strength and mobility. What is your least favourite movement? TOES TO BAR….Its like the school bully of movements…. Biggest achievement has to be getting a max clean of 102.5kg at the defib fundraiser. My face at the time said it all. Future goals are to step back a bit and take my time building weight and really work on the fundamentals of accessories and technique. To ensure when I do progress up I am both confident and safe to perform the lift. Don’t rush ahead and go straight to the heavy stuff, learn by just doing light weight movements and really get to grips with the moves. Enjoy each session, speak to everyone because they are all amazing people. Don’t drop the bar in front of Alex!!!! I was born with quite a few defects, being partially blind since birth, partially deaf until I was a young boy. Really suffering in terms of understanding and development. Being told at once stage that I would never be an academic but a lovely boy. I constantly use my past as a reminder that they do not define me or my ability and happiness, trying to prove each day that a smile and a laugh especially around others can really make their day and define you as a person.